Deschutes Brewery announced it would build its East Coast brewery last March, sending fans of the Oregon-based brewery (read: me) on a multi-year vigil while we wait for the damn thing to be built and beer to start pouring from its tanks. To help ease the wait, Deschutes brought its super fun, pop up street pub to Roanoke in late August, setting up a bar in the streets with more than 50 taps to slake our thirst for fresh Deschutes. I’m taking the street pub as a sign that Deschutes is going to be a good neighbor once they get up and running. And because I like to be neighborly too, I thought it would be nice to take some time and fawn over some of Deschutes’ beers, because even though Deschutes isn’t brewing in Virginia yet, they do distribute in the state, as well as West Virginia and D.C. 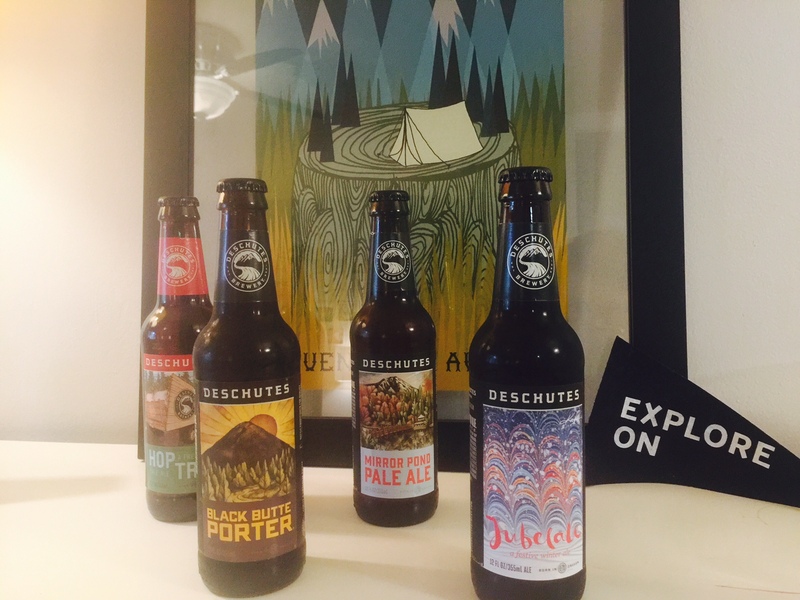 Here are four beers from Deschutes you need to drink now. This is as good of a porter as you can get just about anywhere, and it’s Deschutes’ flagship beer. It’s malty and smooth with substantial notes of chocolate and roasted coffee…exactly what you want a porter to be. This is the kind of beer that helps define the style; the kind of beer a lot of other breweries work really hard to imitate but often fall short. Pales should be easy drinking and Mirror Pond follows suit. The bitterness is light, as are the floral and citrus notes from the hops, all of which are balanced by a subtle, almost ethereal caramel base. This is the sort of beer that’s perfect for hot weather and subtle enough to compliment any meal that’s on the table. Jubelale is Duschutes’ winter seasonal, full of chocolate and toffee notes balanced by a roasted, coffee-like bitterness on the backend. It’s not as sweet as a lot of winter seasonals, which is refreshing; with all of the gingerbread fruitcake beers that hit the market this time of year, I feel like I get diabetes just by browsing in the beer store. There’s a faint bit of cinnamon that let’s you know it’s in season, but for the most part, it’s a well-balanced dark ale. This is one you have to find and drink right now. The idea behind these fresh hopped beers is that the brewers harvest the hops and rush them to the brewery immediately to use in a pale or IPA. The result is hops on steroids. This particular pale ale delivers with a citrusy nose and juicy palate with big notes of grapefruit. It’s zesty and crisp and yeah, fresh. Mirror Pond is a fine pale ale, but this is the sort of beer you look forward to every fall during the hop harvest.